Some quests are dangerous and the explorer or adventurer must be prepared to meet the challenges. In extreme environments such as the desert, arctic or Amazon jungle, death is always close at hand. The majority see such dangers as insurmountable and prefer to stay home in more safe and comfortable conditions. If an adventurer disappears or meets his demise on a quest, they will often say the death is the result of an “obsession”. We see this with the story of Colonel Percy Fawcett who created a sensation in the 1920s when he disappeared along with his son in the Mato Grosso region of the Amazon. He was searching for the lost city of “Z”, an ancient and unknown place that would possibly give clues to our collective past. 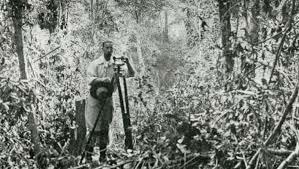 As a younger man, Fawcett was commissioned by the Royal Geographical Society to complete surveying at the borders of Brazil and Bolivia and found the mysteries of the Amazon irresistible. A chance find of some ancient pottery shards along with some Indian legends put Percy on a quest that would fascinate for the rest of his life. Eventually, Fawcett believed there was a lost civilization hidden in the jungle that rivaled anything in the West. This was a hard pill for many to swallow in his time and most academics thought the idea unlikely. Few believed the Amazon would be a good place to build a city to support a large population. In 2009, a highly readable biography of Fawcett was published and mass marketed. The Lost City of Z book climbed the bestseller lists and enjoyed many positive reviews. The author, David Grann wrote an entertaining overview of Fawcett’s quest (see “The Lost City of Z”, 2009 Simon & Schuster UK Ltd.). Now a mainstream movie has been made about the Colonel and while the film-makers have made a solid effort, they also “modernize” Percy’s intentions and beliefs. The Lost City of Z movie is an oasis in an era of degraded Hollywood film-making. It features beautiful imagery in almost every scene, truly heroic characters and pacing that is a welcome change in the era of instant gratification and sensationalist pop art. But sadly, the movie adds to misconceptions of the once famous explorer. For example, no classist snob accompanied Fawcett on his searches. Biologist James Murray, the real-life person the film character was based on, was the son of a grocer (see p. 110, The Lost City of Z by Grann). The film also gives the impression that Percy aimed to eliminate “social and cultural bias”. Although he was no backwards thinker, Fawcett’s quest involved more than the film explains. The movie informs us of Fawcett’s belief that “Z” could have pre-dated the European West but leaves out his esoteric ideas. Although Theosophy and Atlantis might seem like quaint notions to modern film-makers, they do a disservice by ignoring important influences. The well-behaved English Winter passed swiftly and evenly, as though South America had never been. Yet deep down inside me a tiny voice was calling. At first scarcely audible, it persisted until I could no longer ignore it. It was the voice of the wild places, and I knew that it was now part of me forever… I wanted to see it again. – Col. Percy Fawcett from a collection of his writings called “Exploration Fawcett” arranged by son Brian Fawcett, page 109. 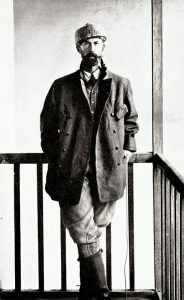 According to “pseudo-history” critic and writer, Jason Colavito, Fawcett was the “victim of a Theosophical obsession” (see Percy Fawcett Victim of a Theosophical Obsession). Colavito read Grann’s book and concludes Fawcett’s story is “a fascination consequence of fringe beliefs” and that “the Theosophical worldview that overtook the explorer and led him on a quest into madness are fascinating”. I am neither a proponent or a fan but in defense of Madame Blavatsky and her followers, Theosophy was never conceived to deliver people into victim-hood or madness. The Eastern-influenced Theosophy resonated with many in the late 19th and early 20th centuries because it encouraged people to seek truth within themselves. Truth-seeking is not by definition, a self-destructive obsession. Cavalito might not like Theosophy but he can’t blame a spiritual philosophy for Fawcett’s disappearance anymore than he can blame a fascination with science for a lost geologist. Fawcett’s disappearance most likely resulted from murder, disease or any number of jungle hazards. An extreme environment where danger is constant, the Amazon has a myriad of poisonous snakes, disease-carrying insects and hostile natives. “Fawcett had chosen each item based on years of experience; even the clothes he had packed were made of lightweight, tear-proof gabardine. He had seen men die from the most innocuous-seeming oversight – a torn net, a boot that was too tight”. (page 9, The Lost City of Z by Grann). Boy scouts and public speakers would agree, preparation is the key for success. One does not travel to the Arctic without insulated clothing and you do not travel thru the Amazon without considering the demands of the jungle. A life-long interest in Theosophy did not blind Fawcett to hazards. He knew the risks and full-well that his expedition would be no less dangerous than his previous four journeys into the Amazon. We must distinguish between obsession and quest. A quest is motivating as the person becomes focused on finding an answer. A compulsive obsession, on the other hand, might lead to poor decision-making and unnecessary or foolish risks. David Grann certainly believes Fawcett’s thinking became clouded with “delirious” ideas of a “mystical Atlantean Kingdom” but we must carefully examine Fawcett’s motivations. In the late 1800s Atlantis became a popular idea with occultists, fringe groups and speculative thinkers. US congressman Ignatius L. Donnelly wrote a famous book that suggested Egyptian and Mayan civilizations were similar because they shared origins in Atlantis (see Atlantis and Ignatius Donnelly). A major problem with connecting these civilizations with Atlantis is the gap of several thousand years between the demise of Plato’s Atlantis (around 9500 BC) and Egyptian Civilization (often cited as beginning in 3100 BC) and the Maya (beginning 2000 BC at the earliest) of Central America. Fawcett decided the Amazon might hold the missing piece to the puzzle – a civilization that could be the cradle for others. “Originally, Fawcett described Z in strictly scientific terms… but Z was transformed into the cradle of all civilizations and the center of one Blavatsky’s White Lodges. Fawcett hoped to discover a White Lodge that had been there since the time of Atlantis” (page 260, The Lost City of Z by Grann). But it could be that Fawcett simply wanted additional reasons to find his lost city. Tales of Atlantis and El Dorado stimulate the imagination and Percy was under pressure to raise funds for his expedition. He needed to inspire wealthy donors. Psychics and followers of Theosophy might have helped color his notion of a “cradle of all civilizations” as Atlantis was a popular concept at the time. What may sound kooky to a modern writer like Grann, might have made more sense to a part-time occult student in London where members of the Society for Psychical Research were attempting to study the paranormal through the lens of science. Despite the writings of Colavito and Grann, we must be careful not to confuse fringe ideas with delusional obsession. A person should not be labelled insane just because they believe in Atlantis. Why? Many who subscribe to fringe beliefs hold jobs and are functional, contributing members of society. Fawcett served as a major in the British army during World War I and was promoted to the rank of Lt. Colonel in 1918. The responsibility of such a position would not be given to an unstable person with a history of mental illness and obsessive tendencies. Fawcett was driven but also disciplined. He preferred to move quickly and had little patience for those who complained or lagged behind. His companions found his relentless and speedy trek through the jungle utterly exhausting. Biologist James Murray, thought the Colonel lacked empathy when Fawcett would not slow down for him. He had become infected by several bites and could not keep up. To improve his speed, Murray discarded his hammock, even after Fawcett warned it was necessary equipment. This led to even worse infections for Murray as bugs crawled and bit him all night. Eventually, Fawcett had to divert his quest to save the man’s life. Fawcett did not believe his quest would be completed at a leisurely pace. The Amazon is an enormous, unforgiving and improbable place for easy-going travel. To find a lost city, you must be willing to cover a lot of ground. What might seem like madness to the layman, was necessary for the jungle explorer and Fawcett’s name might have been celebrated by academics and writers had he found Z and emerged from the dense forest to tell about it. Instead, the Colonel disappeared and so many have decided to call him the “victim of an obsession”. Other documentaries and writings try to say the “level-headed” Fawcett became an obsessive treasure hunter looking for the fabled city of gold, El Dorado but it is more fair to say his motivations were complex. There was the thrill of discovery, the status of being a successful explorer at the Royal Geographical Society, the heroic identity that his wife and children admired, just to name a few motivations that are not material gains or Theosophy. It turns out that Percy Fawcett was partially right. In more recent times, traces of an advanced Amazonian culture have been found, complete with ancient earthworks and signs of civilization such as roads, bridges and canals (see Lost Amazon Cities) and even a massive stone-work circular pyramidal mound formation (see Connecting Two Realms)! The excavations have not unveiled proof for Atlantis but do reveal that Percy was right about large groups living in jungle. Scientists estimate each settlement could have supported up to 50,000 people. The lost city was not such a crazy idea after all. For more information see: “Great Wonders” Lecture on the Monumental Geoglyphs of Amazonia. This is a very thoughtful and insightful article. I can’t help but think of the phrase “History favors the victors” because you are absolutely right. Fawcett would have been hailed a bold, adventuring hero had he made it back. He was definitely focused and driven but doesn’t sound as if he were blinded by the need to succeed. How many people would be branded obsessed if they had the money and means to pursue their inner callings? Too many of us are forced by circumstance to dampen the inner light that could guide us on a quest to spiritual fulfillment.